Tip: It is well worth investing £7.99 in the Monash FODMAP app for your phone or tablet. 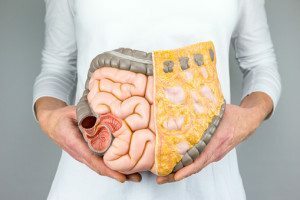 It’s remarkable a low-FODMAP diet can be for people with chronic gastrointestinal symptoms… things like recurrent bloating, gas, cramps, diarrhoea or constipation. There’s also many new case studies suggesting it can help with several other chronic health conditions too. 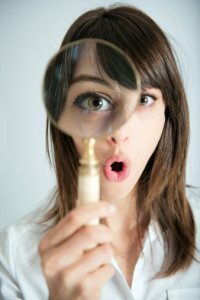 What is low FODMAP and who is it for? A low FODMAP diet refers to a temporary eating pattern that has a very low amount of food compounds called FODMAPs. Those saccharides and polyols are short-chain carbohydrates that, if poorly digested, ferment in the lower part of your large intestine (bowel). This fermentation process draws in water and produces carbon dioxide, hydrogen, and/or methane gas that causes the intestine to stretch and expand. The result is strong pain, bloating, visible abdominal distension and other related symptoms (1). Following is a short introduction into the type of foods which are problematic right now and some shopping lists, but don’t worry this is just a temporary diet to allow you time to heal the gut with Glutamine, Bone Broth & Colostrum, this is explained in our HUG Plan PDF (below), after around 4 – 6 weeks you can introduce some of the foods back in to see how you respond, obviously if there is a reaction, it’s back to the LOW FODMAP’s again. However, gluten-free products do still appear beneficial for those with FODMAP sensitivities.Testing from Australia’s Monash University shows that gluten-free products almost always have reduced amounts of fructans and oligosaccharides. Before we go any further, it’s important to clarify that following a low FODMAP diet isvery restrictive and cuts out numerous common foods and food groups. 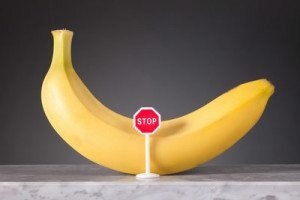 The idea is that restricting all FODMAPs at once should have a far greater and more consistent effect than simply restricting one FODMAP in isolation. With all FODMAPs out of your diet, it gives your gut bacteria a chance to correct any imbalances, and your gut some time to heal. For 3-8 weeks (depends on how you respond) you strictly limit or exclude all FODMAPs from your diet. This is known as the elimination phase. A period shorter than 3 weeks can occasionally be used if you’ve undergone hydrogen breath testing to identify which specific FODMAPs are the most problematic. But otherwise it’s likely you will require at least 3 weeks for the body to adjust and ‘reset’. After this time you then begin the reintroduction plan or rechallenge phase, reintroducing each FODMAP type one at a time to see what triggers symptoms. For example, you may first reintroduce fructose (a type of sugar) for one week. If you have no symptoms, you may then reintroduce lactose too, and so on. Once the trigger FODMAPs have been identified, you will know what you can and cannot eat. So it’s basically a specialised form of elimination or exclusion diet. The following is a list of foods that are low in FODMAPs. To understand how important a LOW FODMAP diet is for those with Gut issues, please scroll down and watch the videos. This diet is also the first step in our Heal Ur Gut Plan (HUG), you can download the PDF book by clicking the below pink button. It’s arguably the most complete free list available as I compiled the best of other great list sources including the Journal of Gastroenterology and Hepatology, and Kate Scarlata. I recommend you save this to use as a shopping guide, alongside the Monash University Smartphone FODMAPs app (iphone & Android) (it does cost $12.00 but worth it). There are some important notes below the list you should read too. Many legumes not included on this list (such as kidney beans and split peas) can be made far more digestible and low FODMAP by pre-soaking for 7-24 hours. Also note that like with anything food related, portion size is fundamental. A serving of almonds are considered low FODMAP, but if you eat an entire bowl of almonds then you will end up eating a high amount of FODMAPs. As with anything we eat, it’s the dose which makes the poison. Summary: To the left is an essential list of low FODMAP foods that you can take with you when grocery shopping. Remember that many of these foods still contain trace amounts, so portion size is fundamental. Do you experience digestive stress almost every single day? Does it make you feel not only physically tired, but emotionally exhausted too? 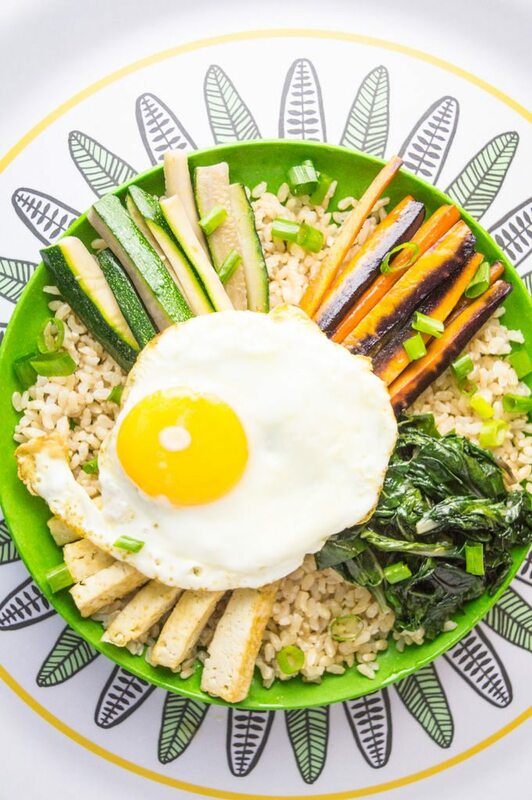 If you know or suspect a chronic food intolerance could be causing you to feel this way – and are determined to discover exactly what those problem foods are – this sample meal plan is for you. The 14-Day Low FODMAP Diet Plan For IBS is a Dietitian-made plan that helps you temporarily eliminate FODMAPs from your diet, which are a proven trigger of Irritable Bowel Syndrome (IBS). It virtually holds your hand for the first 2 weeks of this elimination diet to take the stress and guesswork out of your meal-planning. After following the entire plan for 14 days, simply choose your favourite recipes to have for the following 14 days. Low FODMAP diets should be strictly followed for at least 28 days (4 weeks) in order to be effective. After this it may be time to progress to the reintroduction or rechallenge phase. Many recipes in this plan are from FODMAP-trained Dietitians that I strongly encourage you to follow! Ask your personal doctor or dietitian first: I’m not familiar with your personal medical history, your current medications or additional factors that need to be considered when altering your diet or fitness regime. This meal plan is high restrictive and temporary: A low FODMAP diet is highly restrictive and not for those without a medical reason. It’s also a temporary eating pattern that is split into the Elimination Phase (1st) and the Reintroduction Phase (2nd) . This plan focuses on the Elimination Phase. Not appropriate for certain medical conditions: That includes people with diet-related medical conditions (eg. type 1 or type 2 diabetes using medication) and those at risk of eating disorders or emotionally fragile. Also it goes without saying that this is not for children- any elimination diet for a child must be under direct supervision of a dietitian. Choose water as your drink: The meal plan does not include drinks, but keep a bottle of water with you at all times and drink up. Black coffee, black tea, peppermint tea, and green tea are very low FODMAP and okay to have (no milk). Portion size is fundamental: Most low FODMAP foods still contain small amounts. For example, a serving of pineapple is low FODMAP, but if you eat half a pineapple in one go then your FODMAP intake will be high. 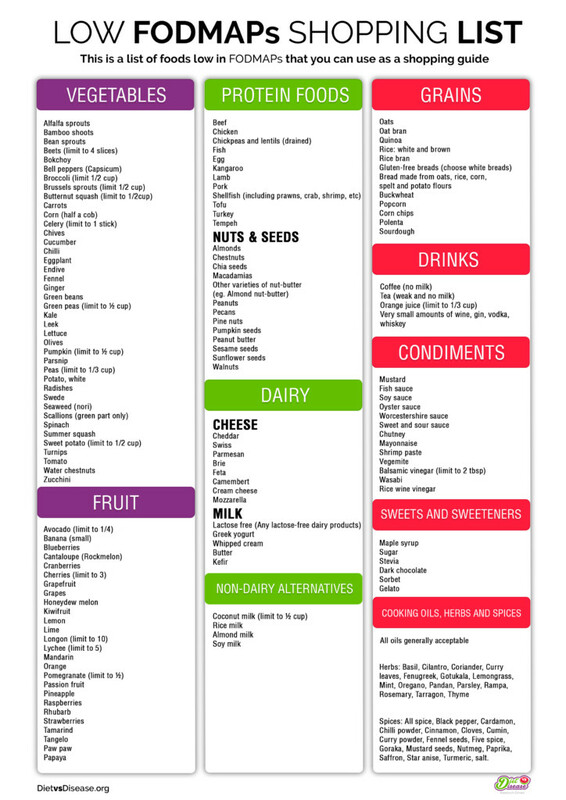 Download this list as a low FODMAP food guide. Prepare all foods yourself at home where possible: To avoid accidentally consuming high FODMAP foods usually means planning meals ahead of time, which is why I recommend you grab the shopping list for each week’s recipes at the bottom of this post. Keep a food diary: Record each meal you had and if you experienced any undesirable symptoms after each meal or later that day. 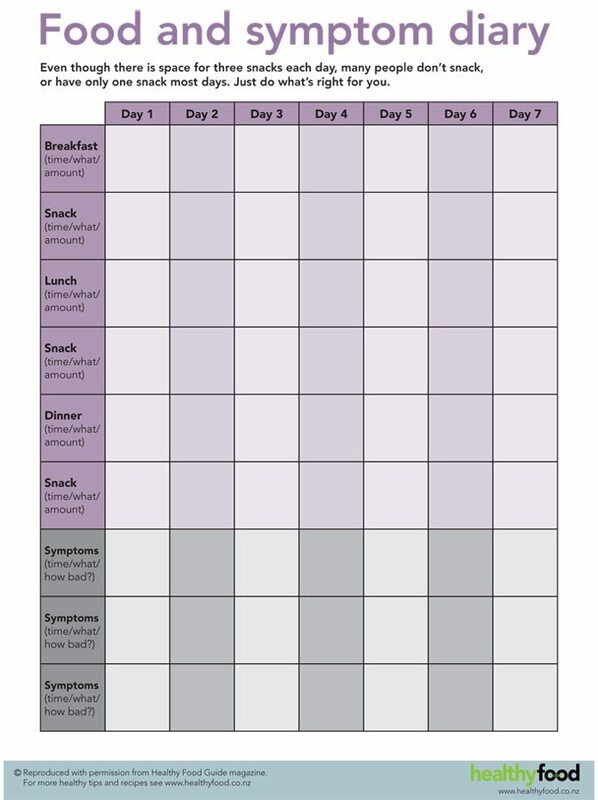 This is known as a food diary and is crucial for helping you recognise triggers and later on for the reintroduction phase. Here is a simple example from Healthy Food Guide NZ that you could mimic, or just write yours on some paper at home. The recipes sourced often make 2-4 servings: Consider this when writing your shopping list. You will have leftovers. Feed the family or save the leftovers to have in place of a meal on another day. Recipes toward the end of the week factor in leftovers. I also strongly recommend you invest $10 to purchase the Monash University FODMAPs app, available on iPhone and Android devices. They have a huge bank of foods that have been tested for their FODMAP levels, as well as almost 100 original recipe ideas. Small price to pay for a lifetime of change. 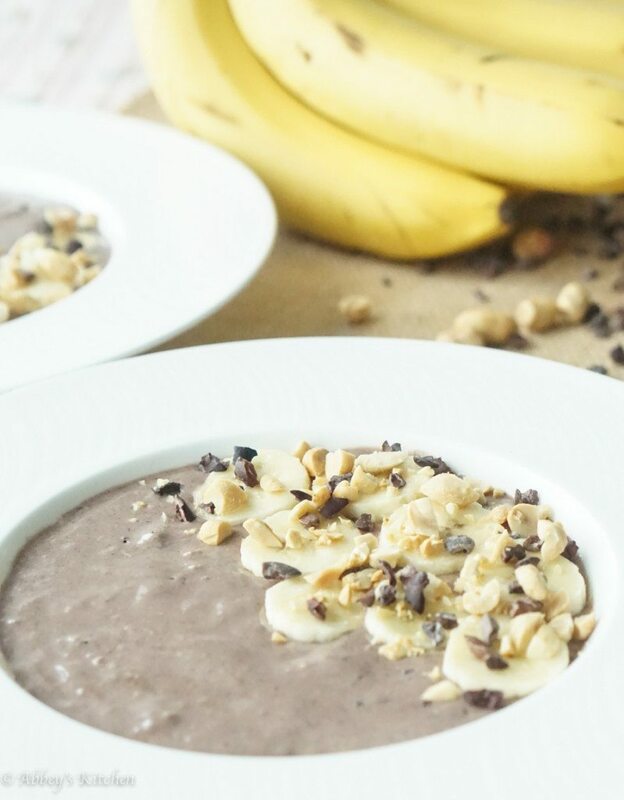 Breakfast: Healthy Chocolate Peanut Butter & Banana Smoothie Bowl. Swap skim milk and Greek yoghurt for lactose-free versions. Omit peanuts. 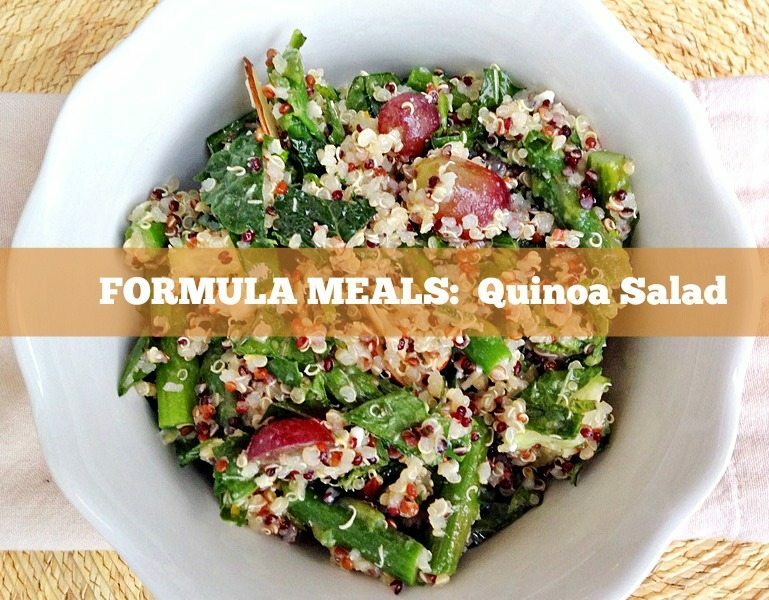 I recommend you make several servings to store in the fridge for breakfast or for a quick lunch at work. Dinner: Gluten-Free Pasta Bolognese, no celery. Breakfast: Gluten-free white toast + peanut butter (2 pieces). White bread appears better tolerated than brown bread. 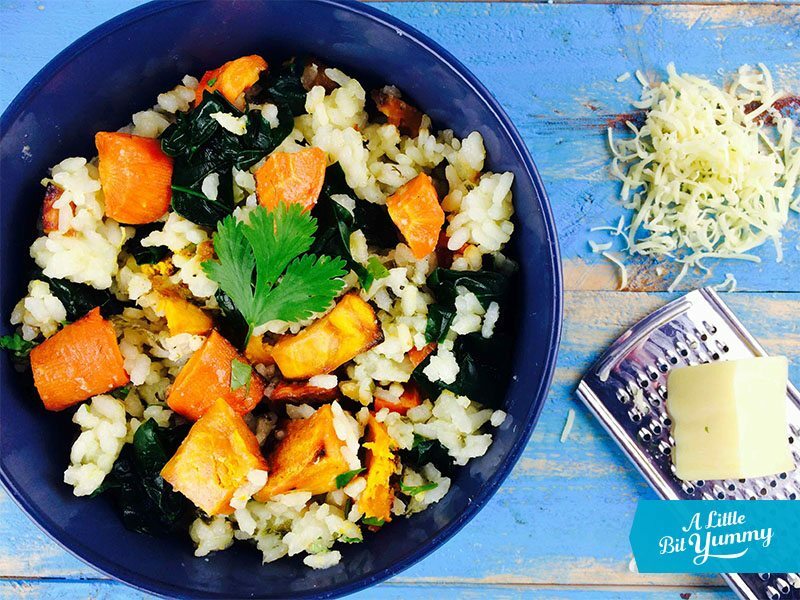 Lunch: Pumpkin & Carrot Risotto. 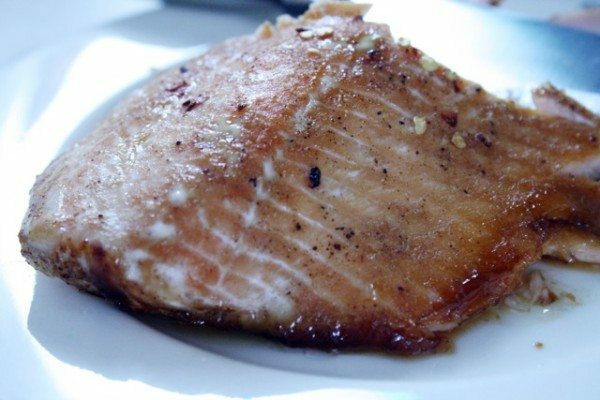 This is best prepared ahead of time in batches. Snack: 1 cup of carrot and cucumber sticks + 2-3 tbsp cottage cheese. Keep these in the fridge as a snack or bring them to work. Maximum half a cup of each vegetable at one time to keep it low FODMAP. Breakfast: ¼ cup rolled oats + lactose free milk (cooked in microwave or stove), topped with ½ banana. Oats are naturally gluten-free, but purchasing a gluten-free variety ensures the product was not exposed to gluten-containing foods during packaging. 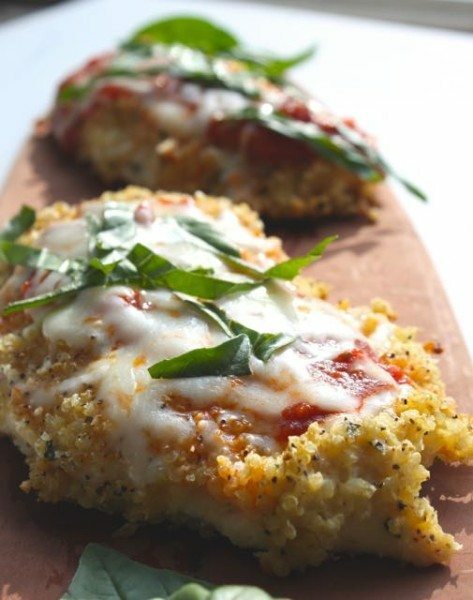 Dinner: Quinoa Crusted Chicken Parmesan + brown rice and low FODMAP veggies (choose vegetables from this low FODMAP list). 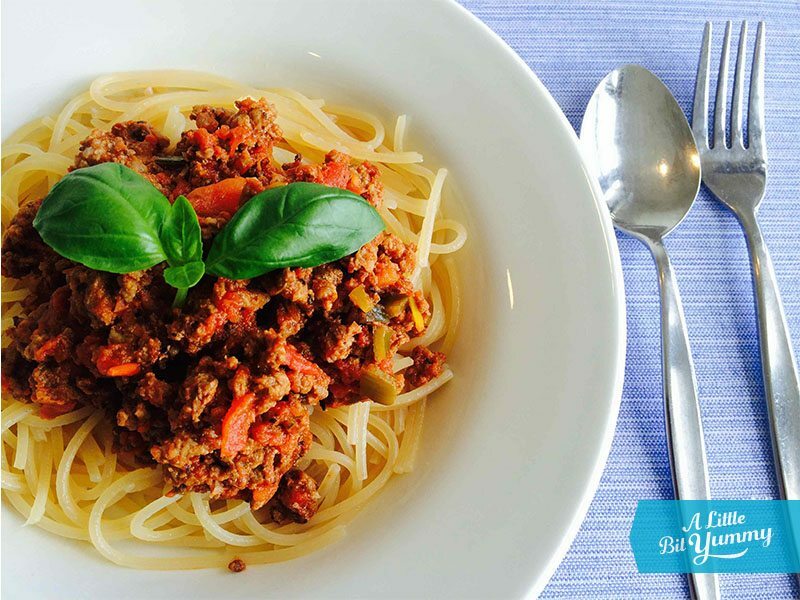 Swap marinara sauce for plain tinned tomatoes. Lunch: Quinoa Salad with Nuts. This recipe has many alternatives depending on what vegetables and nuts you have leftover. Leave out the fruit. 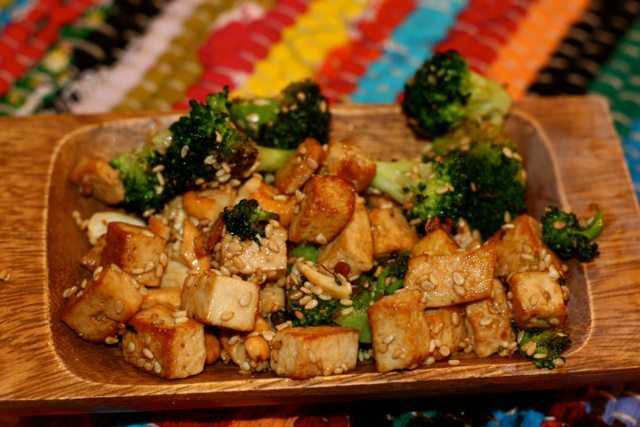 Dinner: Sesame Tofu with Broccoli and Walnuts + brown rice. Brown rice provides extra fibre (you will need it), but limit broccoli to 2/3 cup per serve. 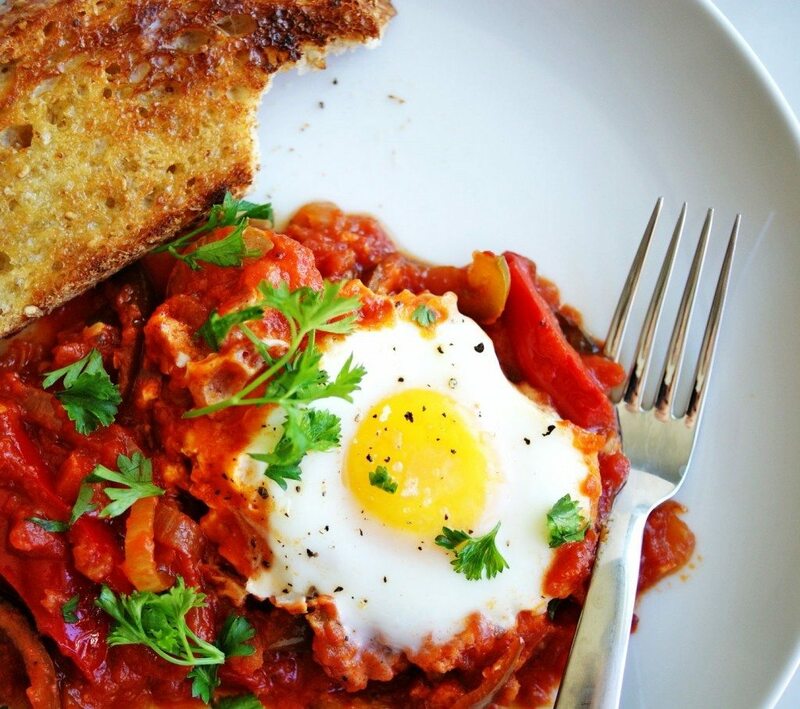 Dinner: Egg Shakshuka + brown rice to serve. Minus the garlic and onion, and swap marinara sauce for plain tinned tomatoes. This is the second week of the 14-Day Low FODMAP Diet Plan For IBS. As with the first week, this Dietitian-made plan helps you temporarily eliminate FODMAPs from your diet, which are a proven trigger of Irritable Bowel Syndrome (IBS). 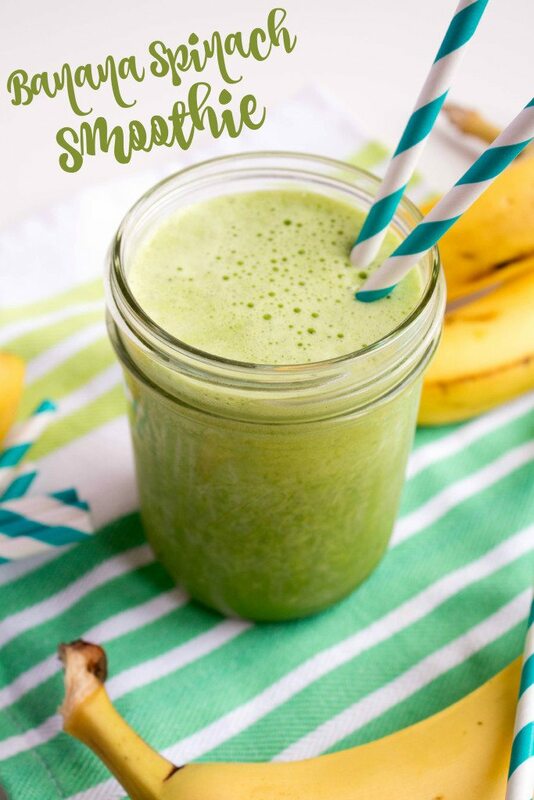 Breakfast: Banana Spinach Smoothie. I recommend you blend up several servings to store in the fridge for breakfast or for a quick lunch at work. Breakfast: Gluten free white toast + peanut butter (2 pieces). White bread appears better tolerated than brown bread. Lunch: Fresh Spring (Rice-Paper) Rolls. Select a maximum of 3 veggies, and add a protein if you like. Leave out avocado and scallions. Lunch: Quinoa Salad with Nuts. 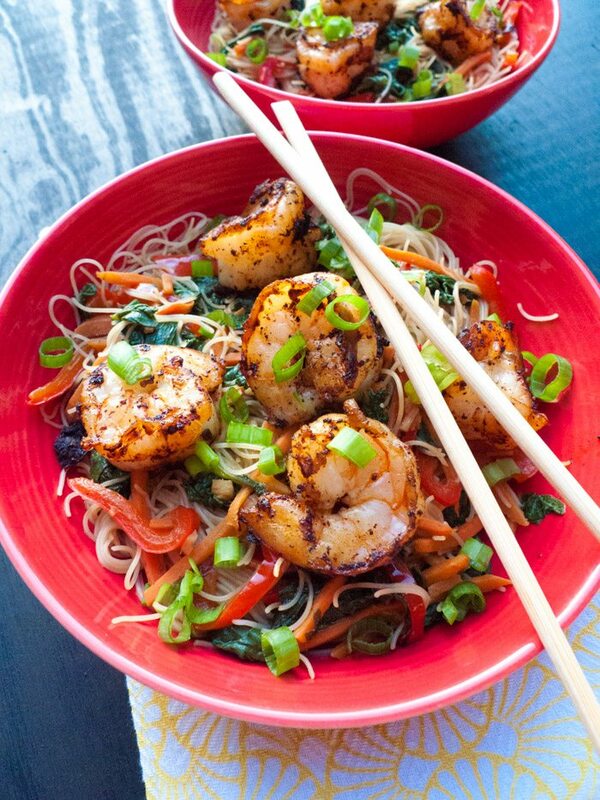 This recipe has many alternatives depending on what vegetables and nuts you have leftover. Dinner: Chicken Nachos, omit taco seasoning. 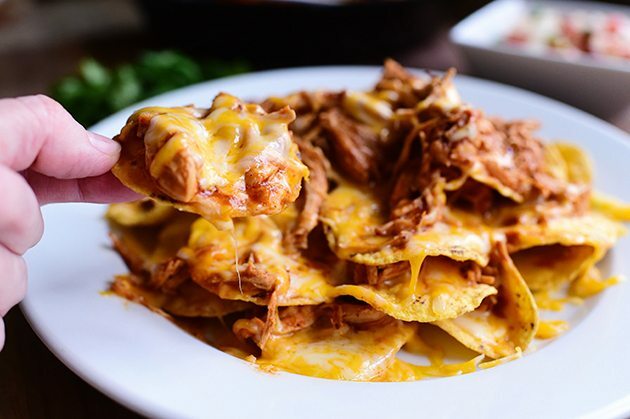 Anything corn-based is gluten free, so that includes corn chips and corn tortillas. Start to add in some leftover vegetables you have. 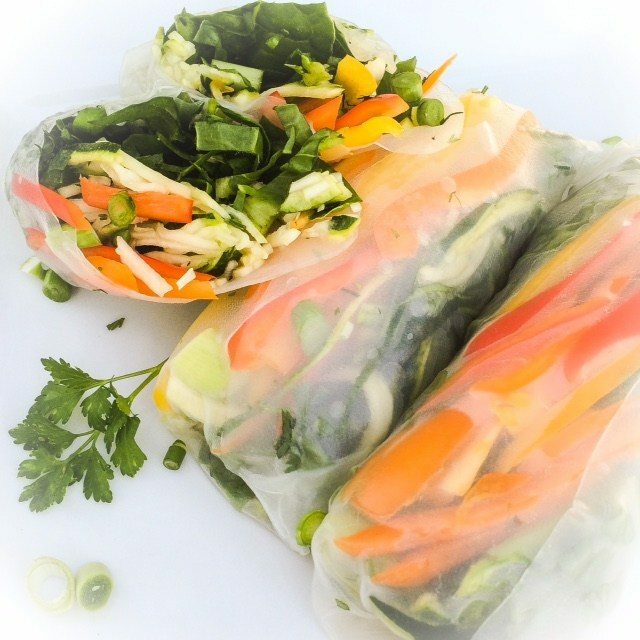 Lunch: Fresh Spring (Rice-Paper) Rolls. Select a maximum of 3 veggies, and add a protein if you like. Omit avocado and scallions. This section is still being compiled..